What is Social Media's 'big thing' for 2008? First off – a big apology to everyone who is subscribed to this blog for the lack of postings in the last number of months. I haven’t stopped blogging, it is just that since I started working for RedMonk, the focus of my writing has changed and it is now more appropriate that I write more on GreenMonk, than here. Why am I writing here now? Something has been bubbling away at the back of my mind the last couple of months and I wnated to see if anyone else was thinking this way, or, indeed (quite likely) if I was missing something! Looking back at Social Media, we have had a significant advance (a ‘this year’s big thing’) every year since 2004. We are in November now of 2008 and I still don’t see any big transformative Social Media technology which has occurred this year. Has it stalled? What am I missing? 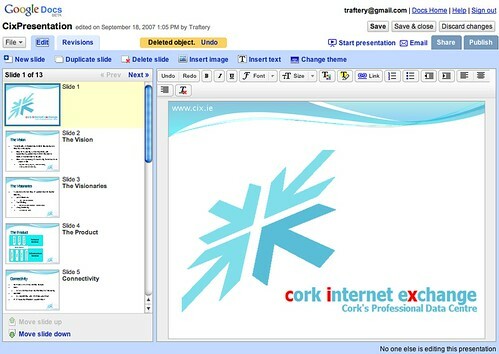 This is the Web 2.0 Toolset Overview presentation I gave to the members if it@cork last week. Thanks to Damien for manning the camera. There were around 70 people in attendance and feedback afterwards was very positive. Here is a copy of the presentation I gave. I hope to have a video of the presentation live by tomorrow. Things move fast in the Web 2.0 world! Only a couple of weeks back I wrote a review of Enterprise Wiki software in which I mentioned PBWiki and Socialtext amongst others. I like Socialtext and would have recommended it had PBWiki not just shipped its new interface. The PBWiki interface is friendlier and easier to get around for non-techies so I went for that. Now today I see two posts mentioning that a new version of SocialText is en route which will make SocialText a much more compelling enterprise app. SocialText Dashboard, pictured above, is a Netvibes-like customizable home page. Users can add SocialText widgets that show information from the companyâ€™s wiki – total edits, a list of workspaces, change summaries, etc. Other widgets are for productivity, like a calendar, or just for fun, like a YouTube widget. All Dashboard widgets are Google Widget compatible, which means that, subject to security settings, they can also be added to sites like iGoogle. But more importantly, all iGoogle widgets can also be added to the Dashboard page. So you can, for example, pull Gmail directly into your SocialText Dashboard. You can tag yourself “M&A” if you’re in business development. Others can tag you, too. Then, if you’re looking for someone with a particular skill or hobby, you just search on tags. Tags are easier to update, and because of that you’re more likely to see good information in individuals’ tag clouds, compared to a bunch of form fields that no one wants to bother with. Of course, tag clouds and folksonomies are also less rigorous than straight data fields, but you know what they say: They make it up in volume. So, if you haven’t rushed out after my last post and dived into PBWiki, you might want to think again about SocialText. It just keeps getting better and better. You can import existing PowerPoint presentations, Word documents, OpenOffice files and you can email documents to the application. However, there is no support yet for Apple’s superb Keynote presentation software. 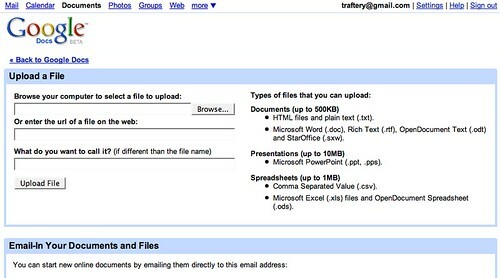 Uploaded presentations render quite well and you have all the usual revisioning and collaborative abilities you have to come to expect from Google Docs. Nathan Weinberg has a great article on how to embed Google Presentations into blog posts/articles – what is really amazing about this functionality is that it combines GTalk with online presentations – giving the ability to chat and present simultaneously from your blog/website. This is slowly eating not only into the Office suite of applications but also into the web conferencing arena. First iPhone photo editor app? 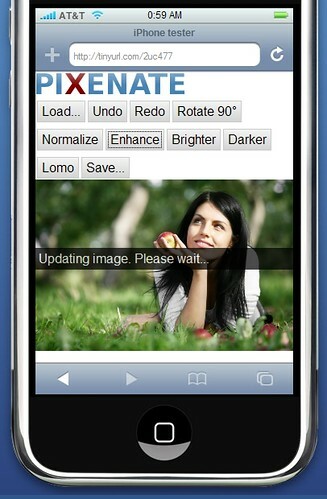 Pixenate on the iPhone, originally uploaded by pxn8. Having recently successfully deployed their Pixenate FaceBook app (a photo editor for Facebook), it looks like Sxoop Technologies are now out to be the first company to deploy a photo editor for the iPhone! How cool is that? There is a beautiful fit between the iPhone, which people will be using to take pictures, and photo editing software. Go Walter – woo hoo! Google updates Mobile Google Reader – gPhone imminent? Google has done a significant upgrade of the mobile version of Google Reader, as well as the desktop version. I haven’t seen this written up anywhere yet (apologies if you wrote it up and I missed your post). Look at the bottom of the screenshot above. 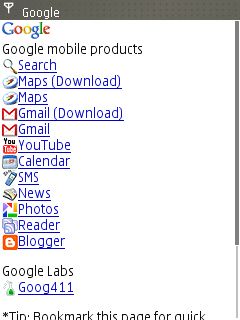 There are new links for Tags, Subscriptions, Settings, Sign Out, More Google Products and Google Labs. This is fantastic – previously Google Reader’s functionality on mobile devices was limited to viewing the 10 most recent posts in your feed. Now you can change the number of posts displayed (5, 10, or 20) in the Settings, view your posts by Tag, view your Starred and Shared items (in the Tags page) and log into your other Google applications. This has to be the strongest indication yet that the heavily rumoured gPhone is imminent. There is a bit of work to do on it – moving from the Google Reader to Google Calendar requires you to re-enter your Google account info, for example. This should be maintained across Google apps obviously. Other than that it seems to work flawlessy though. Ryanair thinks Eamon DeValera is a crook? Saw this when playing with WikiScanner this afternoon – someone in Ryanair edited a Wikipedia article on Dublin’s Southside to say that Eamon DeValera was a crook! Poor Eamon will be turning in his grave! 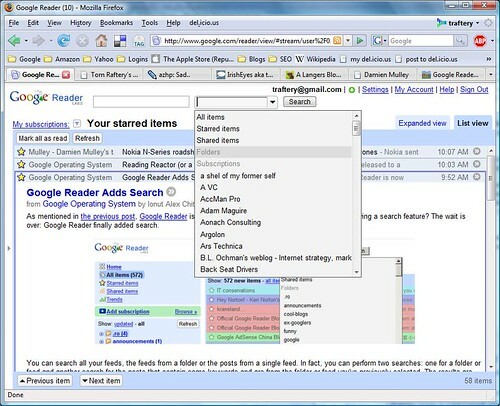 Overnight Google added search functionality to Google Reader. What is amazing is that it took so long for an ostensibly search-related company to add this to the Reader. 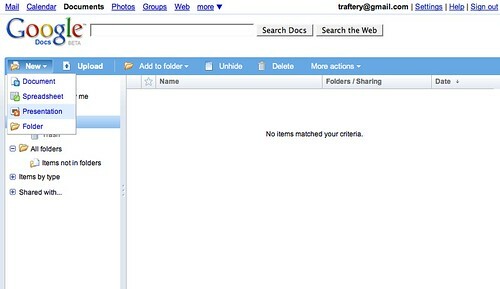 Having said that, the search functionality rolled out is extensive allowing searching of individual feeds, all feeds, or by folder lavel. If you don’t see this functionality in your reader account, try logging out and logging back in again. 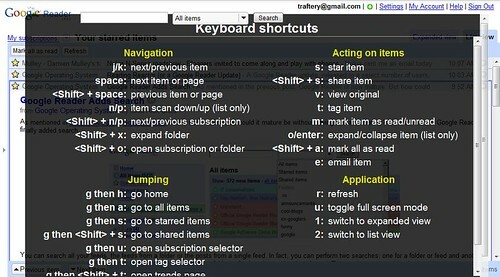 Another bit of previously available functionality I missed is the ability to collapse the left-hand sidebar with just the keyclick u (as in the image above) and the ability to call up a list of keyboard shortcuts just by clicking ? Google Reader is getting better and better. It is now my main reader and has helped me enormously in being more efficient in my feed reading. Google Reader’s only serious competition, Bloglines needs to do something drastic or it will lose out completely to Google. Pat Phelan’s Cubic Telecom have released details of â‚¬5m worth of investment they have received. Cubic Telecom is the parent company of the Roam4free and Yak4ever brands. EUR3.5M investment from private backers in order to develop a suite of innovative global mobile and home phone products under the Cubic Telecom brand, together with its own international virtual carrier network. A further EUR1.5M has been raised to fund a series of international launches of products and services in the coming six months. As I mentioned a few weeks back, Cubic Telecom are also the only Irish company to make it to the final 100 of the uber prestigious TechCrunch 20.